Hello, Stampers! 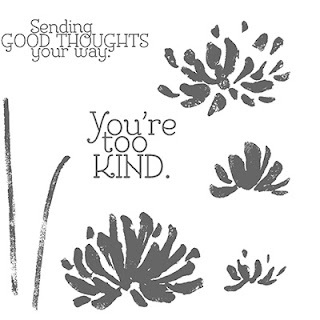 I hope you are not getting tired of seeing the Too Kind Stamp Set because I am not getting tired of using it! 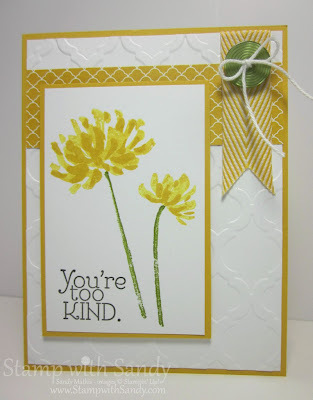 I'm having so much fun trying it out in different color combinations and it's so easy to make a great card with it. I used the layout from Mojo Monday this week but rotated it clockwise to accommodate my stamp set. I love this simple sketch! My blossoms were stamped in Crushed Curry ink. The bottom layer was stamped off once and the top layer was stamped full strength.The stems were stamped in Old Olive, and the sentiment in Early Espresso. 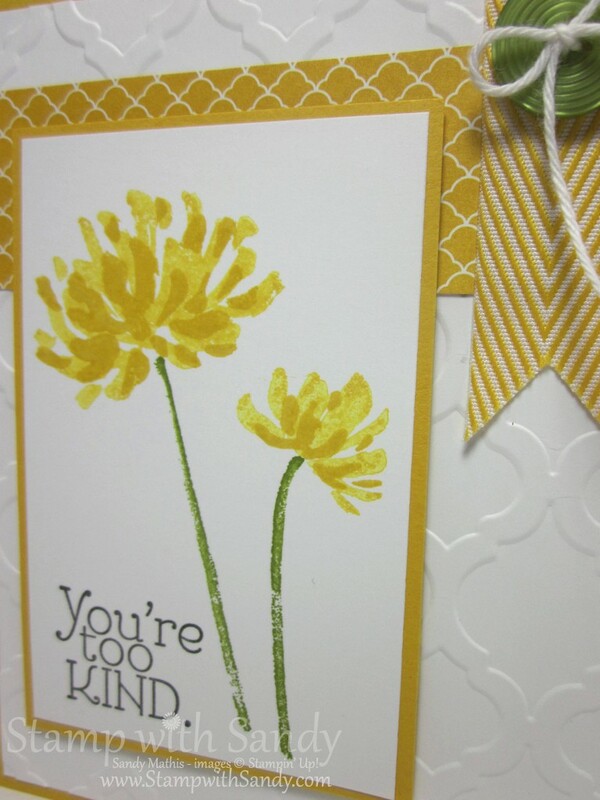 I thought the Modern Mosaic Embossing Folder made for a background that was interesting but not too busy. Thanks for visiting and please leave a comment! Thanks!